Our hope is to connect the whale's journey in a series of entertaining and educational videos, introducing the viewer to a world they might not otherwise see or experience. It is clear that our survival, like the whale's, depends on an ability to adapt to changing conditions, scarcity of food sources, and environmental hazards. Our team of photographers/divers, videographers, journalists, knowledgeable locals, and marine biologists/ecologists will be commentators in various locations. Using the whale as our guide, we will visit Scammon’s Lagoon and Bahia Magdalena to investigate the diverse ecosystem, as well as observe the interplay between the desert landscape and the rich marine environment. To the untrained eye, this desert-scape can appear remote and hostile, yet when you see the variety of bird life, abounding sea life, and the protective Gray and Humpback whales nurturing their calves — a natural wonderland emerges. We might even catch a glimpse of a whale surfing the local waves. While Baja to Bering may seem like an impossible voyage, the Gray and Humpback whales manage it twice yearly. San Diego is home to many of our team members and to several renowned institutions, like Scripps Institution of Oceanography, dedicated to studying oceans worldwide. We will bring them into sharp focus and engage marine ecologists/biologists/whale watchers and kids, to see how our local habitat is fairing. Sometimes the whales swing close inshore to everyone’s delight, at other times, they remain at quite a distance offshore. Why? Does water temperature, food source, commercial traffic play a part in the whale's track. As we near Long Beach harbor and Los Angeles, the intensity of a large population and seagoing traffic increases pressure on the whales. How do they respond? Why do whales end up stranded onshore? We will investigate the pockets of marine mammals who have sought refuge in curious locations along the coastal regions. For example, Harbor Seals have caused quite a stir by taking up residency in La Jolla, CA. (though they've actually lived there longer than humans). Elephant Seals have found a luxurious habitat along Central California’s coast and Sea Otters attract thousands of visitors annually to Monterey Bay and their Aquarium. Sharks are a part of the mix as they search for their delicacies, sometimes confusing their prey with humans swimming or surfing. Grays and Humpbacks snack on smaller fish, because they are “Baleen Whales” —their upper jaws are composed of baleen, once used to make brooms and women's corsets — the whalers found use for almost every part of the whale’s anatomy. 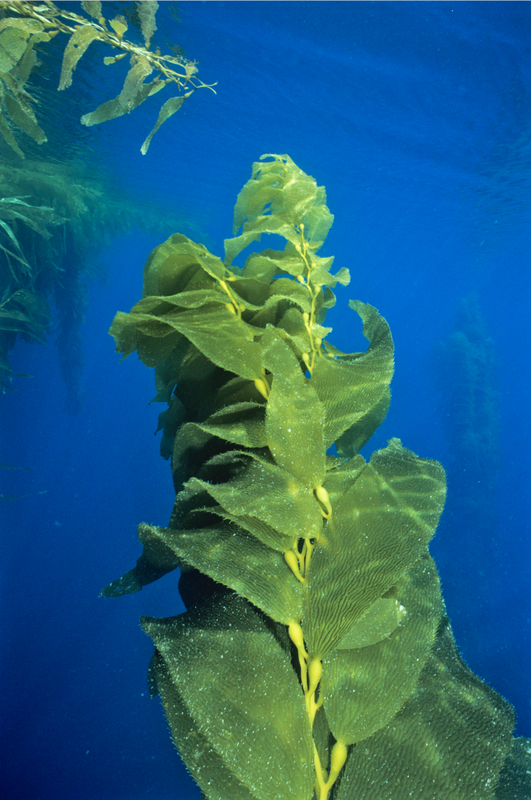 The Pacific’s coastal kelp — used in food, supplements, medicines, hair products, lotions, toothpaste— goes through cycles of rapid growth and sudden depletion. Why? What happens to the sea life that congregates in these underwater forests when kelp growth is in jeopardy? 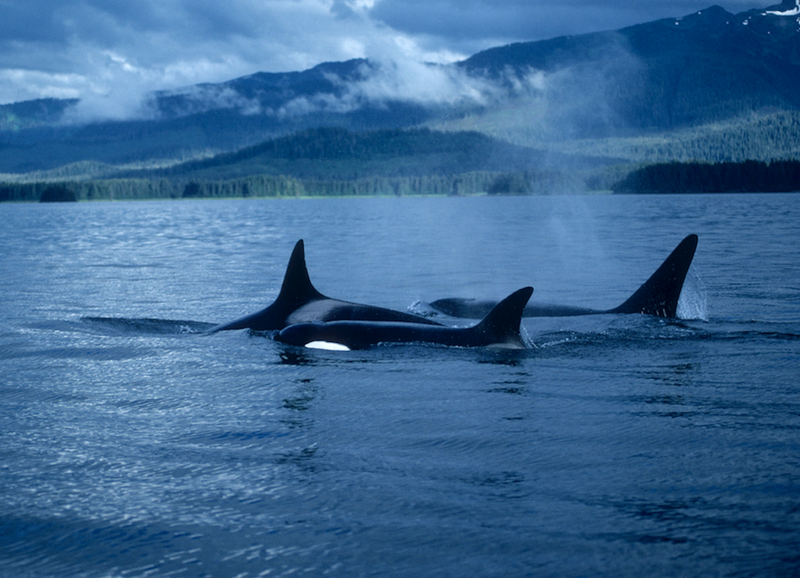 As the whale traverses the coastal waters, we will continue to raise questions and try to answer them. Most of our 60 million coastal residents will not be venturing to Alaska, for many reasons, not least of which, it is cold, mostly gray year-round and it is unforgiving territory. For those whose passions are the Bering’s remoteness, with its expanse of wildlife; who live there or return year after year, who experience the cruel beauty – they have a story to tell. As the Humpbacks and Grays make their way home, they continue to pass through an abounding ecosystem. From the salmon fisheries, to bear country; we will journey back in time, revisiting the First Nations, their fishing traditions and their sacred totems. With the polar ice caps melting, we will investigate the impact on the Bears (Brown, Polar, the Spirit Bear and Blue Bear) and sea life.